* "ViReal" is a trademark of Yamaha Corporation. 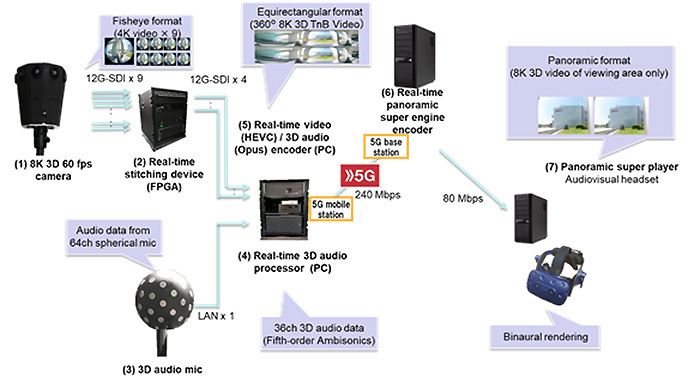 NTT DOCOMO, INC. announced that it has developed what is believed to be the world’s first 8K 3D virtual reality (VR) system for live video streaming and viewing at 60 frames per second (fps) over 5G mobile communications. Viewers will be able to use head-mounted displays to experience music and sporting events in highly realistic 3D VR, allowing them to feel as if they are actually at the venue.